Robert Kraft Offers "Apology" After Prostitution Bust - Joe.My.God. “In deference to the judicial process, I have remained silent these past several weeks. To correct some of the misinformation surrounding this matter, my attorney made his first public comments on Friday night. I would like to use this opportunity to say something that I have wanted to say for weeks. “I am truly sorry. I know I have hurt and disappointed my family, my close friends, my co-workers, our fans and many others who rightfully hold me to a higher standard. Throughout my life, I have always tried to do the right thing. The last thing I would ever want to do is disrespect another human being. I have extraordinary respect for women; my morals and my soul were shaped by the most wonderful woman, the love of my life, who I was blessed to have as my partner for 50 years. “As I move forward, I hope to continue to use the platform with which I have been blessed to help others and to try to make a difference. I expect to be judged not by my words, but by my actions. 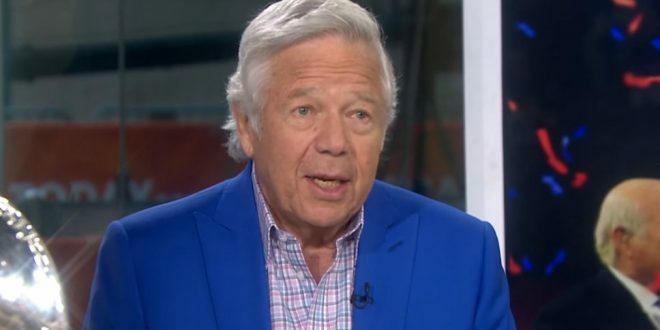 And through those actions, I hope to regain your confidence and respect.” – New England Patriots owner Robert Kraft, who has rejected a plea deal offer in which he would admit the soliciting prostitution charge and perform community service. Kraft’s statement (which, understandably, reads as it it was crafted by a team of lawyers) skated over the fact that he has been charged with a crime and that video of him receiving and paying for hand jobs at the Orchids of Asia spa could very well become public in the very near future. It didn’t mention that the charges against him could be dropped if he admits that he would be found guilty at trial. It certainly didn’t mention that one of Kraft’s visits to the “spa” was on the morning of the AFC Championship. What the textbook famous-person, non-apology statement did do was provide an easily digestible nugget for news organizations to put in headlines.